Back in high school, I stumbled upon this book in the school library entitled "Don't Take a Bath on a Friday" talking about different myths. I didn't get to finish the book because the bell rang. Later when I returned to the library, I couldn't find the book anymore. Since then, I find myths interesting. Not that I believe in all of them but I really find some amusing. 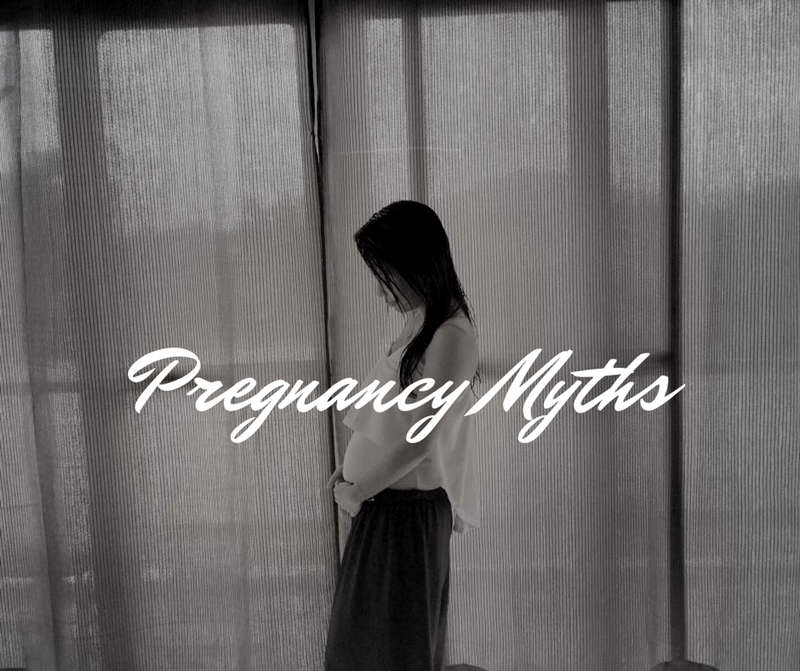 When I became pregnant, there were a lot of advice and "what-not-to-do's" because of myths. Some moms also shared a few myths their friends told them, too. There were some that is familiar to me, and some that I've heard the first time. 1. Sharing food with someone who is pregnant will make you sleepy. 2. If someone is blocking the door to a room where the pregnant woman is, she will have a hard time during the delivery. It's hard to pass through a blocked door, right? Then that's what will happen during the delivery, too. Baby will find it hard to pass through. Sounds scary! I did spend 45 minutes (as per OB) pushing. Not sure if it's because of the myth, or it's just because I - a 4'11" - gave birth to an 8-pound baby. 3. If pregnant woman becomes better-looking, she's having a baby girl. Otherwise, it's a baby boy. Baby girl means more feminine hormones, thus pregnant woman becomes more "blooming". It is because of this myth that sometimes I get offended when people say "I'm sure you're having a baby boy." Lol. 4. Food will affect baby's appearance. Eating too much light-colored food like eggs will make baby's skin lighter, while too much dark-colored foods like chocolates will make baby's skin darker. 5. Pregnant women should only look at beautiful faces so baby will be good-looking. This also means to stop watching horror flicks, and to avoid ugly and scary looking faces as advised by mom and MIL of The Purple Cow Adventures. 6. If belly is itchy, baby's hair is thick. So baby's hair is tickling momma's tummy, eh? Hihi. 7. Wearing necklaces when pregnant will cause baby's cord to coil. 8. Applying special oil (ie. snake oil) during labor will make delivery smoother. Some people believe that there are kinds of oil with "magical" properties that could ward off evil spirits. Another useful effect is it could make baby come out fast. 9. Eating too much chicken will turn baby's gender to a girl. I was told to avoid chicken during my second pregnancy if I want my baby to be a boy. 10. When a pregnant woman steps over someone, pregnancy symptoms will be transferred. You don't want to have all those morning sickness, nausea, cravings, and mood swings? Step over your husband while he's asleep. 11. To know the baby's gender, hang a needle over the preggy's belly. Whether these myths are true or not, they still amuse (or even scare) me. What other myths do you know? Feel free to share on the comments section! When I was pregnant twenty years ago, it seemed like everyone was peeing in Draino to find out the baby's gender. Oh, that's new to me. What's a Draino, anyway? Being pregnant, I haven't heard these but they are interesting and kinda funny. I’ve never heard these before! So interesting! These are kind of funny. I never heard any of these before but they were interesting to read. And I would love to hear more. I'm sure there are still myths out there that's not on this list.